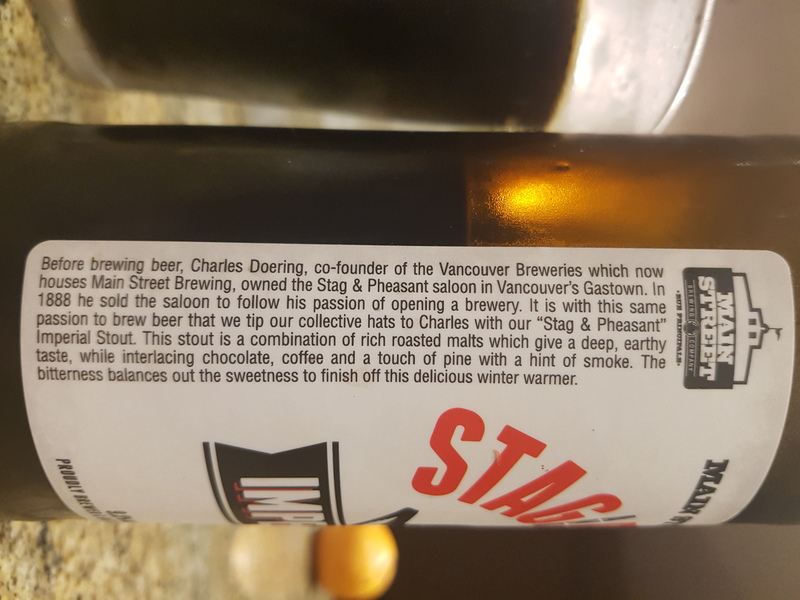 Stag and Pheasant Imperial Stout – Main Street Brewing (Vancouver, BC, Canada) | Justintoxicated. Visual: (cellared for almost 2 years). Red wax & bottle cap sealed. Pours jet black-brown with no head, very thin ring with an off-shape island, surfacing slow bubbles, barely visible micro sporadic streams here and there. Summary: A bit too bright and hoppy at the start and mids which are competing with the roasted malt sweetness at the beginning to mids. Eventually the roastyness and hopped bitter zen out at the finish. 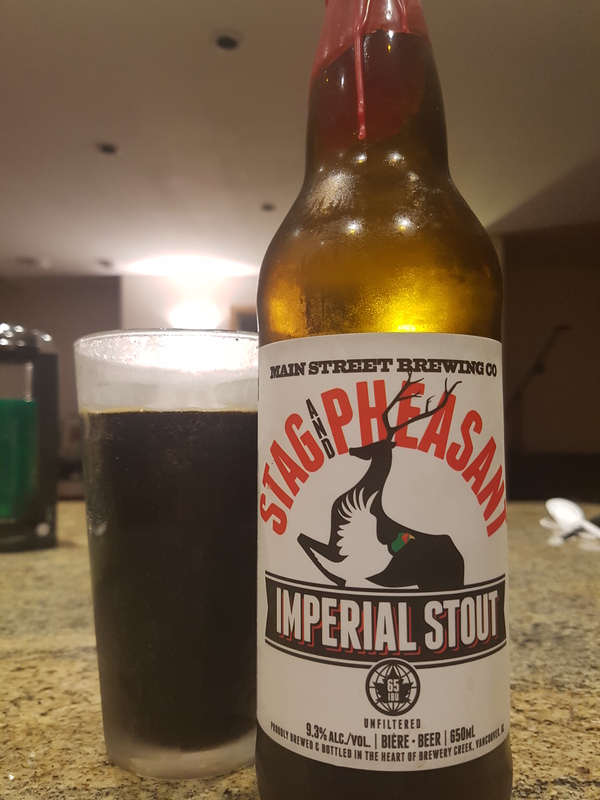 Not the smoothest imp stout but at least decent; I’d like to try the BA limited edition.